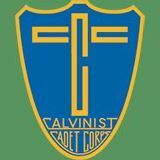 The cadeting ministry encourages experiencing the presence of the Lord in His glorious creation. Learning the skills of an outdoorsman builds a boy’s character, and developing a boy’s understanding of his place in God’s world helps him to be a faithful steward. Hagersville Cadets meet every other Thursday evening 6:30 to 8:00 pm. at the Church. For more information about Hagersville Cadet Club contact Dean at (289-757-3195). Check out more about Cadets at their website.